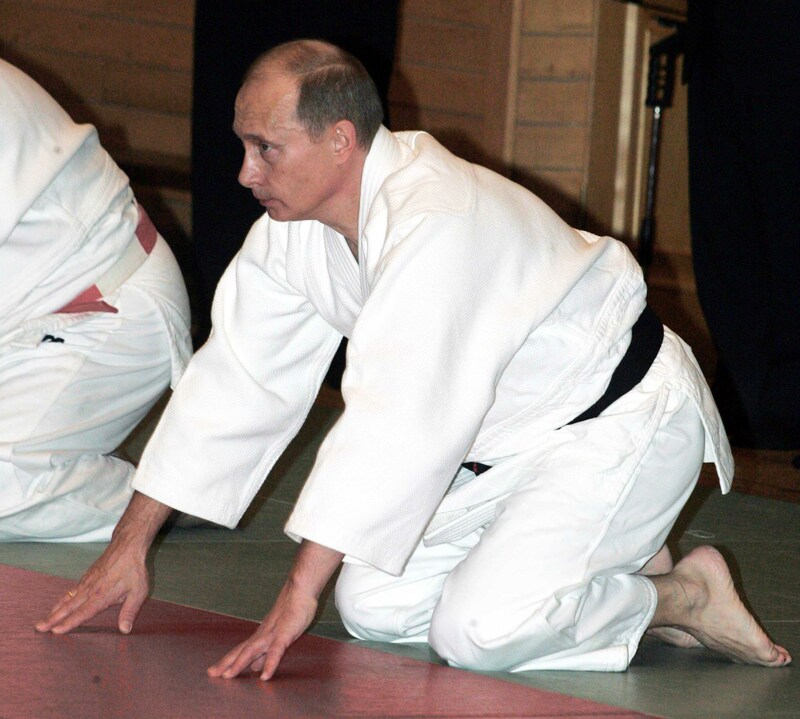 The martial art of judo rests on the idea that a smaller, weaker person can use its opponent’s size and strength to its own advantage and Russian President Vladimir Putin, by his own account, took up martial arts as a slight boy to protect himself from bigger courtyard bullies. Putin at the moment indeed plays a sort of geopolitical judo by evading the attacks of the West and waiting till his adversaries have pushed forward far enough that he can pull them off balance. This is not a new tactic, it has been used throughout history, most notably in WW II, when a German army of three million soldiers got exhausted in the far lands of Russia to finally be destroyed in the epic battle of Stalingrad. 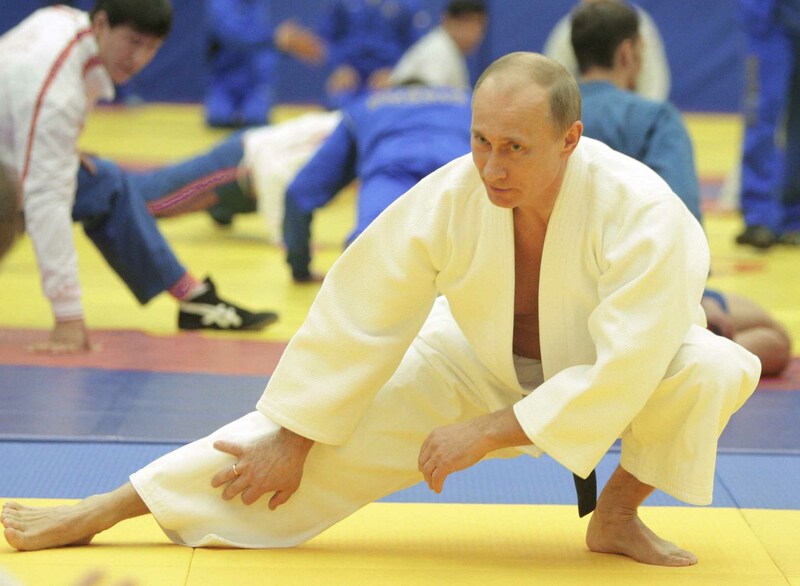 Russia is undoubtedly the smaller, weaker geopolitical judoka. Despite controling a formidable nuclear arsenal, its power has obviously faded since Soviet days, and it is no match for the USA, whose military expenditures, according to SIPRI (Stockholm International Peace Research Institute), outrank it by more than seven to one. So what should Russia do against the world’s remaining superpower? The answer is to take a lesson from the judo handbook and wait for the right moment to use America’s clout against it. That moment may be now, as Washington has overplayed its hand and has maneuvered itself into a corner in Syria as well as in the Ukraine. It has yet to be seen how the judo match in the Ukraine plays out, as the hangover after the Maidan party has set in, corrupt oligarchs promise to fight corruption, and cash trapped governments promise to pay the bills of the costly Ukraine/Russia economic divorce. The Syrian match on the other hand is fast reaching a culmination point where defining changes take place. The die will be cast soon and a winner be declared. One winner (the weapons industry) and one loser (the Syrian people) have emerged already now. First things first: IS (Islamic State) basically is a creation of Western agencies and it receives continuing support from Turkey and various Gulf states. Turkeys MIT has organized truck convoys with weapons to IS, it enables the transfer and sale of looted industrial machinery, historic artifacts, and oil, it has dedicated whole hospital wards for the treatment and recovery of IS fighters. IS commandos have attacked Kobane and other Kurdish border towns from Turkish territory in plain sight of massive Turkish military. Brand new US weapons and ammunition were found in IS weapons caches, IS specialists miraculously were instantly able to operate conquered US made tanks, artillery, and other sophisticated equipment which normally needs thoroughly trained experts; satellite images and other sensitive intel were found in the possession of killed Islamic fighters. Russian Foreign Minister Sergey Lavrov called into question the earnestness of US efforts against IS and stated, that concerned colleagues from within the US-led anti-IS coalition informed him that the US-military did not give clearances to pilots even though they clearly had located and identified IS positions. Major General Eizza Zawir, commander of the Kurdish Peshmerga’s fourth division, told reporters that he sees the busy supply lines of IS less than 3 kilometer away but is not allowed by the USA to hit them. Senior Jordanian military officers told the same. Yazidi militias complained that they waited in vain for US help as they tried to fend off IS assaults. 82 percent of Syrians believe that the West is behind IS, a sentiment that is shared with most of the Arab public. The circumstantial evidence of Western foul play is overwhelming, but a smoking gun will not be found, because after a century of black ops the spy agencies know how to conceal their traces. Countless conspiracy theories are floating on the internet (‎Abu Bakr al-Baghdadi is a Mossad or CIA asset or is Israeli actor Simon Elliot). Some of them are Western psy-ops, spread to be easily dismissed so that the whole notion of Western involvement can be discredited. Despite smoke screening (censoring, misleading, lying), common sense alone makes it clear that the US-led coalition’s fight against IS is a farce, and Western propaganda has increasing problems to mask the glaring discrepancy between the stated intent to fight the IS brutes and the reality of supporting them. Putin only needs to exploit this discrepancy and to call the US bluff. It will be a hell of a job for the Western press to prevent the castle of lies tumbling down. Pundits and editorial writers probably spend already sleepless nights pondering about the formulations which are ambiguous and nonsensical enough to distract and confuse the trusting and gullible public. Russia (and possibly China) will quietly build up forces, gather information, and at a convenient moment suddenly strike not only IS, but also Jabhat al-Nusrah and Ahrar al-Sham with overwhelming might. The SOHR (Syrian Observatory for Human Rights) will decry civilian casualties and the pictures of bloody corpses of children will deluge Western front pages, but thats all what the USA can do against the demise of their secret friends. When all is said and done, Russia will have proven (rightfully or not), that it doesn’t sell out its friends, a fact which may resonate in many places. Putin will have reinforced his status as a world leader. He is poised to become an icon of the left, undeserved though, because he is not the untainted hero as some discontented and desperate souls would like to see him. The good people of the world will have to wait for their messiah a little bit longer. Putin is a nationalist and pragmatist. 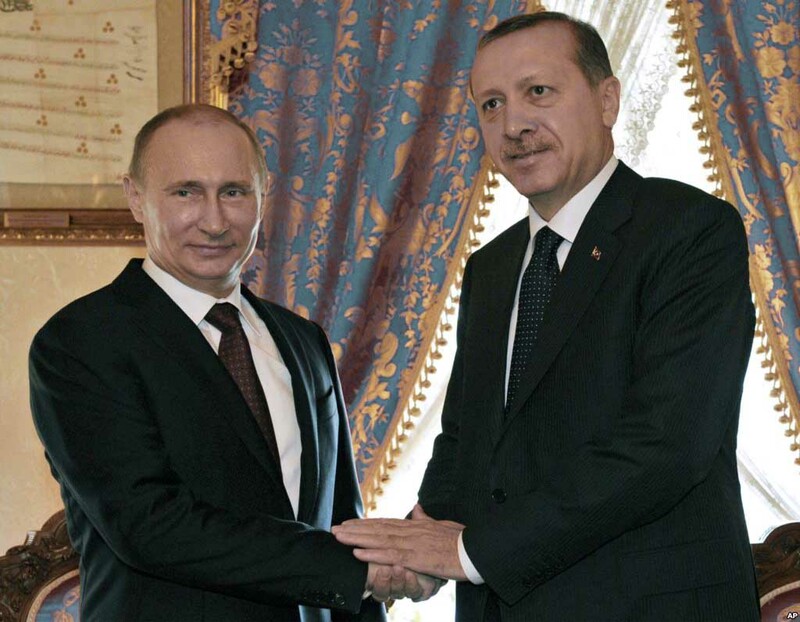 Russia has close economic ties with Turkey and Israel, it buys military hardware from Israel. No BDS (boycott, divestment, sanctions). 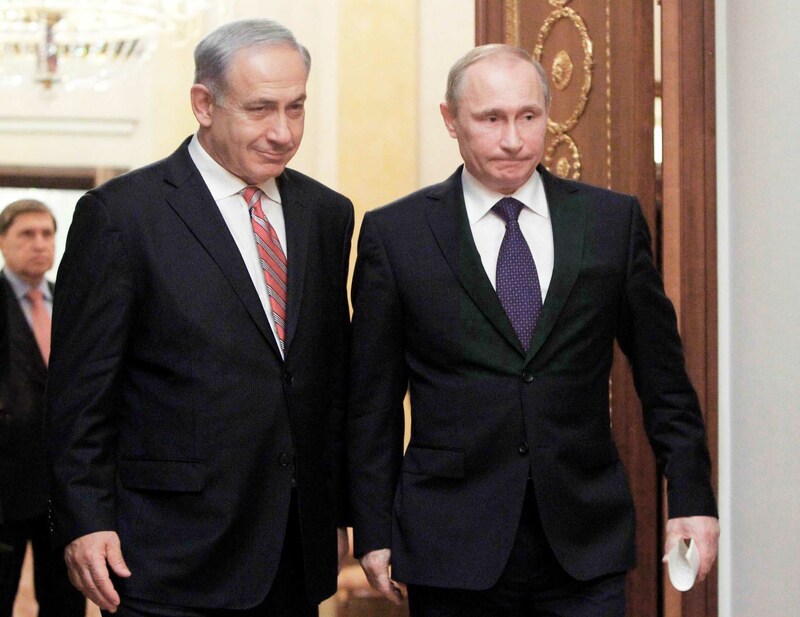 Putin is friends with both Erdogan and Netanyahu, a fact which may help to find compromises and avoid deadly confrontations, but also could be a reason, why Russia didn’t step in forcefully to help Syria destroy the Islamic terrorists in 2011 /12. Putin is not a saint, but he is a pragmatist and realist. Beside being a judo aficionado, he was a KGB operative in East Germany when the Berlin Wall fell, and he must be nursing bitter memories of how Soviet leader Mikhail Gorbachev was outmaneuvered and treated like a beggar by the West on the question of German unification and NATO expansion. Putin’s resulting mistrust of the West is well placed and the most appropriate attitude in his ongoing political dealings.